EIB & Centurion: What do these terms mean? 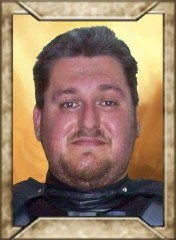 It is sad news that we report the loss of another legion member, Matthew Locklyer SL6456 passed away in early March2019. Matthew was the first approved Darth Vader with the Terror Australis Garrison (now dissolved) and he made the most of his opportunities to troop with his Legion brothers and sisters until his retirement. Jovial by nature, Matthew always had a smile on his face or a joke to tell. He brought laughter and light to wherever he went. Matthew's memory lives on posthumously with the 501st Legion Knightfall Garrison. Celebration is upon us! The excitement is in the air, especially with the internet buzzing about Episode 9 and what will be revealed. If you're one of the lucky folks heading out to Chicago be sure to check out the scheduled FISD related festivities, including our Photo Shoot and Meetup, More information can be found on our forum in the events section. Special thanks to our very own senior deployment officer Sha Sha for taking charge of the on-scene planning! The excitement isn't only for our folks going to the windy city however. We're well underway into our first wave of CRL Reviews and Updates, which will be posted up in the coming weeks. Even better, we have some cool new FISD merch that will be announced very soon as well! Stay tuned, and in the mean time... back to trooping! 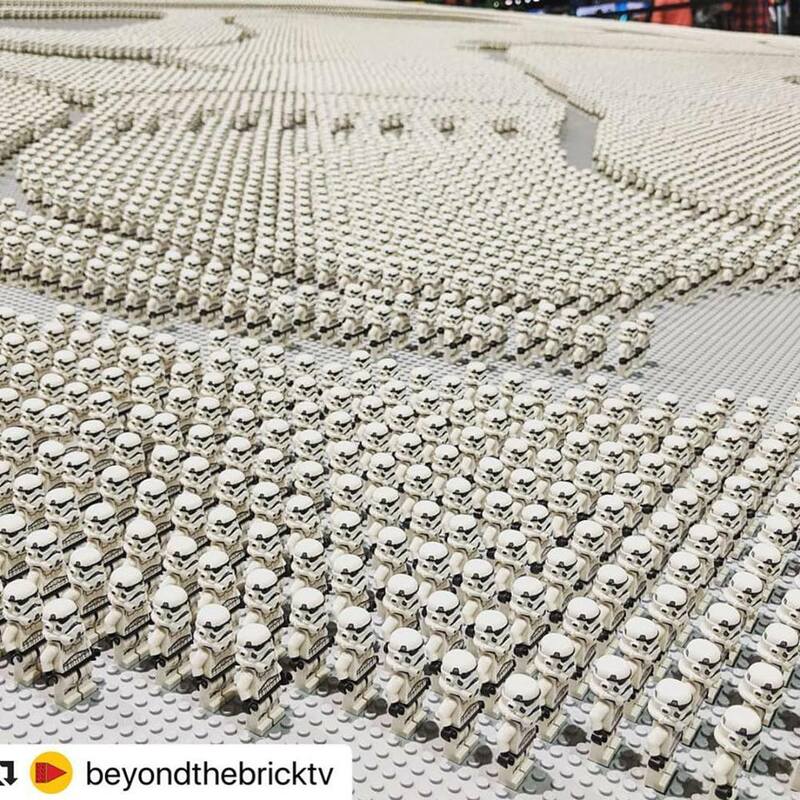 Hello Troopers (and future Troopers)! I am proud to announce that we have passed the 900 mark (908) on our "March to 1000" Expert Infantry Badge campaign. A big "buckets off" to all those who have submitted and been approved, as well as our Deployment Officer team for staying on top of things. Well Done! Speaking of advanced tactics, as you may know we are working on refining the first round of CRL updates (ANH, ESB, ROTJ) and will be posting those for discussion in the coming weeks after the dust has settled from Celebration. We are also excited that there will be new updated CRL models, and are working on adding photos showing multiple angles of armor, which will give those just starting out a better, more defined reference to use. As I mentioned in last month's NL, "Please know that exceptions to these updates will be made for those who have already posted their requests at the time when the new CRL changes take effect, and plenty of advance notice will be given". so keep this in mind. 2019 is gonna' be a GREAT year here on the FISD! The FISD is pleased to announce the addition of a new area in the Advanced Tactics forum dedicated to those ready to submit for basic 501st TK approval. This section will allow future Troopers the opportunity to submit photos of their completed build to be reviewed by the Staff, Imperial Attaches and others in preparation for forwarding it to their GML for approval. Any and all advice/suggestions given will be specific, constructive, helpful and respectful. Please note that this program will NOT take the place of your local GML, as Detachments are not chartered for costume approval and can not override a GMLs decision, but is instead a peer review program designed to help you look your best and offer guidance and positive feedback. You will have the opportunity to ask questions about your completed armor, weapons (if applicable), accessories, etc. and get accurate information from the experts here at the FISD.. the definitive home of TKs worldwide. A home for 3D file sharing, Troopers helping Troopers is what this section is all about; yes a single location to keep any 3D files offered up by our extremely generous membership. This will be a 501st member’s only section and rules will apply to any usage of the content. Here is a link to the New FISD 3D Contributor program. I went from spraying coffee out my nose with laughter to that tough lump you get in your throat - thank you all who contributed! 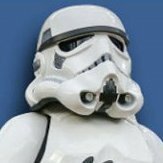 Last month I went through and created thread a list of all our Stormtrooper Hall of Fame recipients since the beginning of the program - you can now see your name displayed proudly on this virtual plaque. So without further ado let’s get another Inductee up there!!! 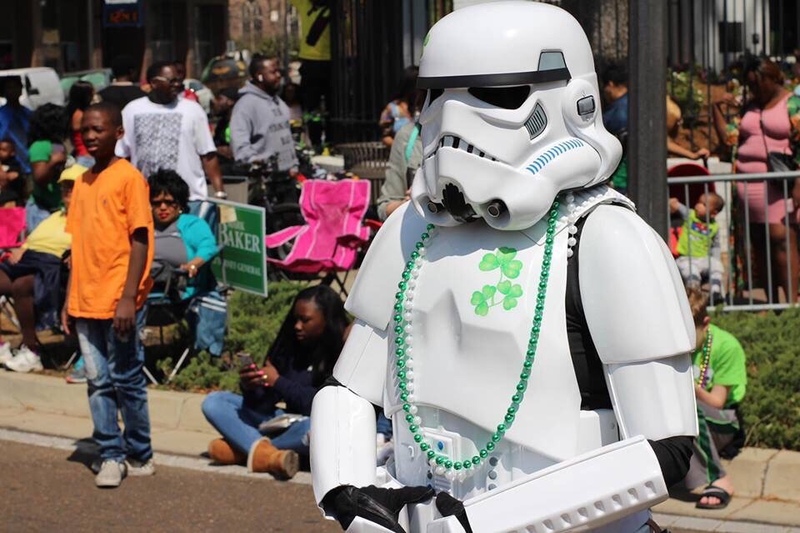 This Trooper was only recently deployed to the galaxy and apparently has the luck of the Irish behind her. Everyone please join me in honouring TK - 18131 Lindsey! 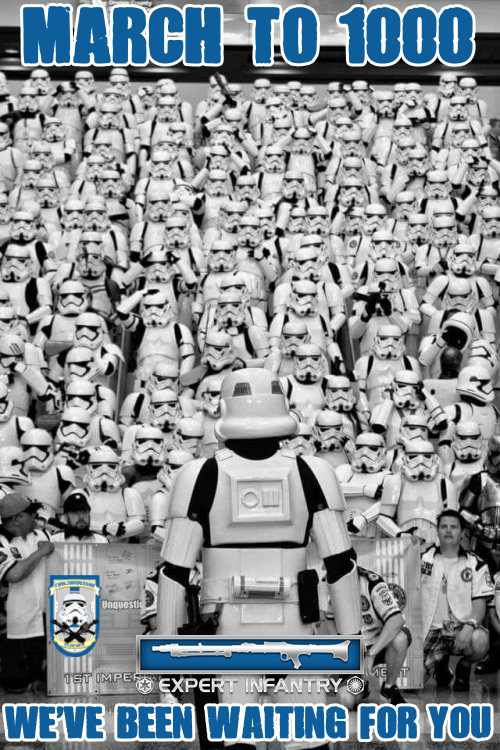 Salute and welcome to the Stormtrooper Hall of Fame!!! 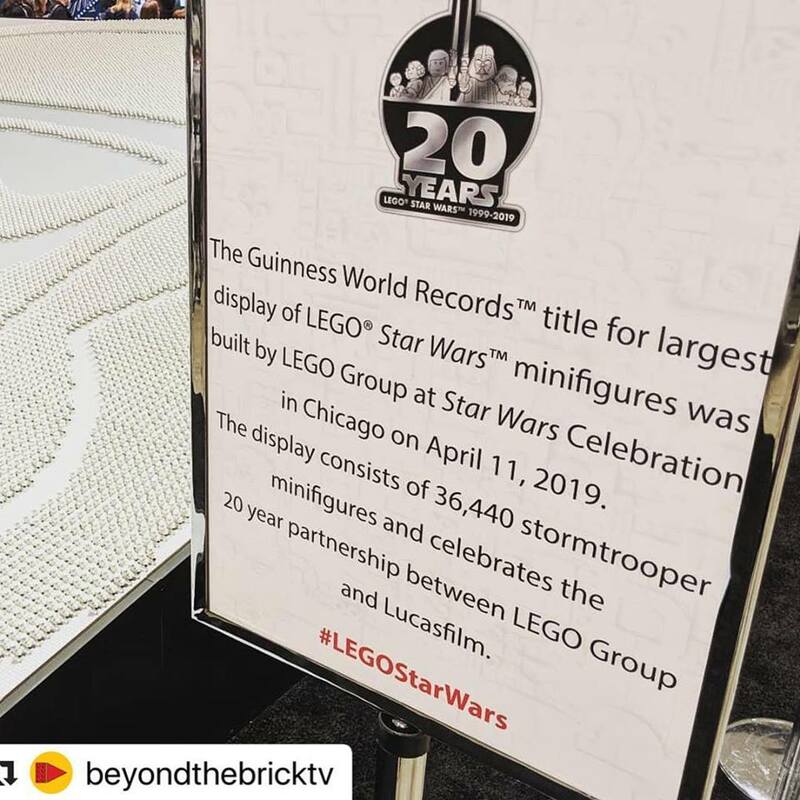 The world's largest LEGO Star Wars minifigure display was just unveiled at Star Wars Celebration in Chicago! 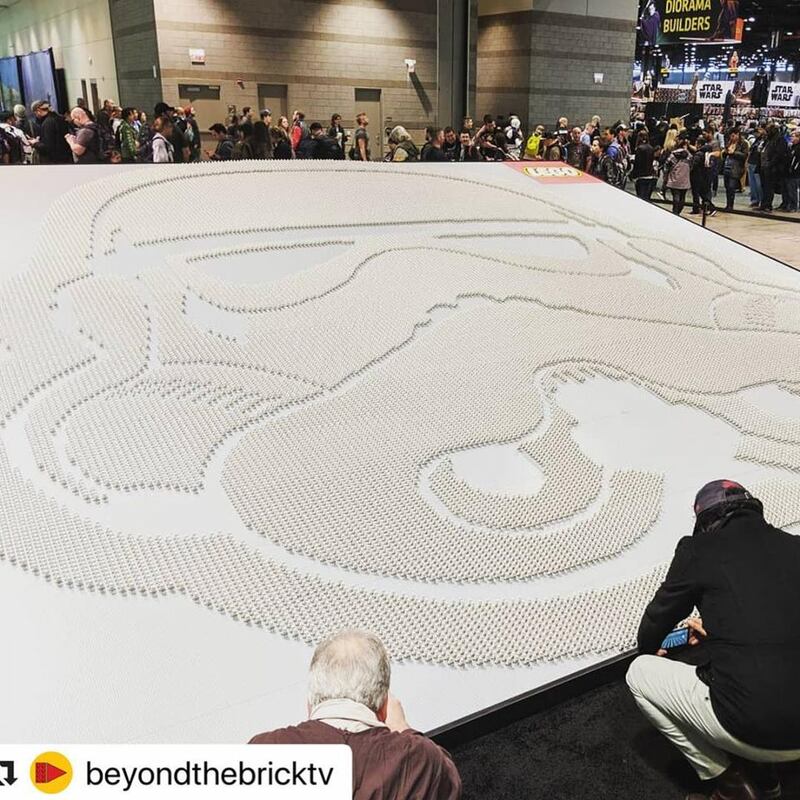 36,440 minifigs make up a Stormtrooper helmet. Want Your Troop to be Included? "While there is currently a retail moratorium on character appearances in effect, it is being lifted for the week surrounding the May 4th Star Wars Day holiday, which will be April 29 – May 5. 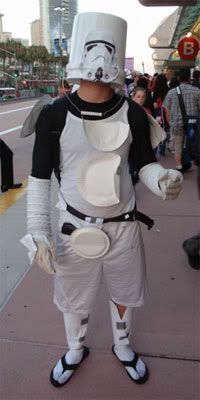 All fans, costumed or otherwise, can participate with retailers of their choice to celebrate Star Wars Day during this one week window with the restriction that costumed appearances must not be used in the advertising for the event. Although these store appearances will be treated like an open invite, we’ll leave it to the fan groups to independently organize around these events as they see fit. LFL will not need to approve or coordinate these." "Please note that retail locations should not include restaurants, bars, or venues with no apparent reason to feature Star Wars characters. If the retail location does not stock Star Wars products you should NOT be attending." As always there are strict rules, please speak to your Garrison Commanding Officer, Squad Leader or if you have one Garrison Events Coordinator before organising any event. *REMEMBER* Always follow your garrison/squad's guidelines when in comes to organising Disney/LFL promotional troops, only command staff can deal direct with LFL. Serve proudly, ladies and gentlemen, and as Tim (Dark CMF) says: "Keep doing what it is that got you here"! 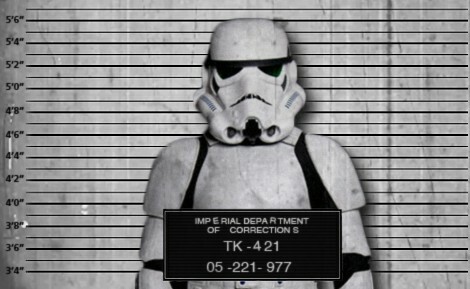 Are you an approved TK that spends more time on the boards than the average Trooper? 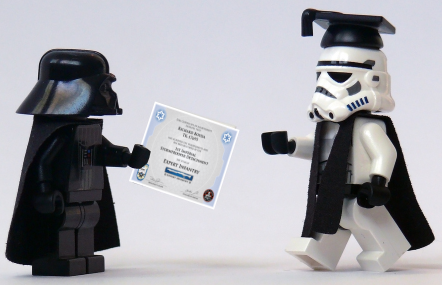 Do you enjoy using your knowledge to help out future and existing Troopers? 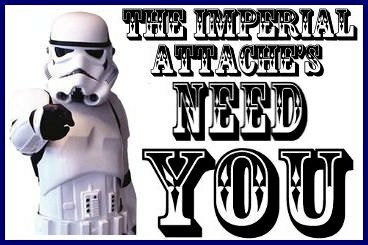 If so, we would like to invite you to join the Imperial Attaché program! Members of the I.A. team are chosen to help out not only those here on the boards, but on a local level as well. Our aim is to have at least one in each and every Garrison, Squad and Outpost in the entire legion to be the eyes and ears of the FISD on a local level. A suggested level of EIB or above is preferred, as part of the duties include assisting those aiming for levels 2 and 3, but is not a requirement. Being active on the boards on a regular basis , welcoming new members and helping out where you can is, though. 1. Access to exclusive Attaché merch., including patches, etc. 2. Having the Imperial Attaché title under your name. 3. Being a part of the team that welcomes new and prospective members of the FISD. 4. Being the "go-to" person in your Garrison, Squad or Outpost. 5. Exclusive access to the Attaché HQ area, Imperial Propaganda Machine (newsletter) and merchandise discussions. Please join me in welcoming our newest Imperial Attaches! 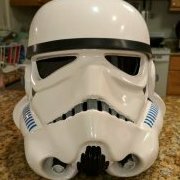 @Mworm1974 (Matt) - Hailing from Sydney Australia, Matt is another trooper who sees the value in "troopers helping troopers." His knowledge and expertise is something we value, and look forward to his contributions as an Attache of the FISD. 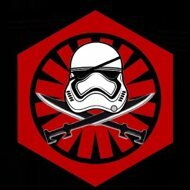 @Bazz (Adi) - Garuda Garrison Indonesia has another bright trooper that has decided to volunteer to assist during builds. Adi wants to motivate others to create the best trooper! I cannot wait to see more TK's sprout up in your Garrison! Serve proudly, Gentlemen, and as Tim (Dark CMF) says: "Keep doing what it is that got you here"! 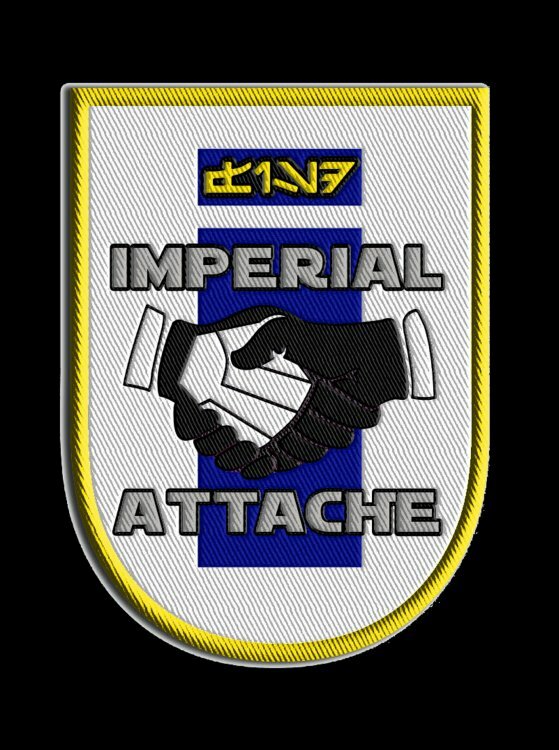 For those of you on the Imperial Attaché staff, I am pleased to announce that the official I.A. patches will soon be available... again! Here are the details﻿.. PLEASE READ CAREFULLY! Patches will be limited to TWO per person, and will only be sold to those who are current FISD Imperial Attaches. These patches have been graciously DONATED to the FISD, so all you will need to do is cover the cost of shipping and PP fees, which will be $1.00 each for those in the U.S. and P.R. and $1.50 each for those outside the U.S. What a deal! Hello Fellow Attaches! March has proven to be a busy month in welcoming new members to the ranks. We are eager to see their contributions. I am confident that our new additions will continue to represent and make us very proud. Thank You as always for being here and volunteering to become the best of the FISD. Proud to represent all of you. So what exactly are EIB (Expert Infantry Badge) and Centurion levels? 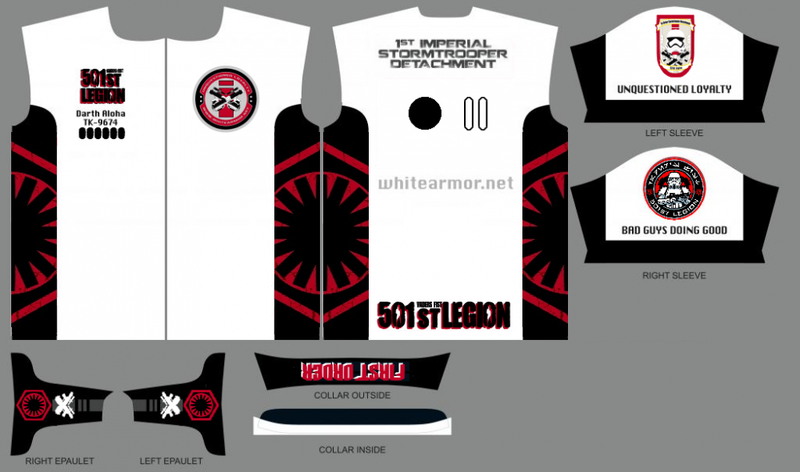 These programs were designed for those who choose to take their armor above and beyond the minimum requirements for basic 501st Legion approval. It gives you the chance to show a level of dedication and pride that takes your armor closer to being as "screen accurate" as possible, without as much extra work as you may realize! 1. "I am a (tall/short/heavy/thin) Trooper. Can I still apply? Of course! These programs are open and encouraged for all sizes of TKs, as long as the costume is correct and meets the guidelines. There are many specific build tutorials to every option, as well as a vast network of fellow TKs on the FISD to help you out and offer suggestions. While blasters are not required for basic approval, for EIB and Centurion levels they are, and may need upgrades (also listed in the CRL). 3. "I haven't even got my kit yet, is it too early to start planning"? Actually, aiming for Centurion is easiest to do right out of the box. 4. "I have my basic TK approval, can I still get in these programs"? In a word... absolutely! 5. "Are there any "perks" to this extra work and cost"? Besides knowing that you have a great looking set of armor, the 501st and FISD believes you should be deservedly recognized for your achievement(s), and allows you to wear the appropriate embroidered "rocker" badge of rank (available for a very minimum cost) on your shirt, helmet bag, etc., as well as rank decals to put on your armor bin. You will also have access to select "challenge coin" runs, receive (free) a cool certificate for your new rank, and have your title posted below your name in your FISD signature. Plus, once you reach these levels, you will have the extra knowledge to help out those who are looking to apply as well. 6. "Is it hard to apply, and what happens then"? After basic approval, all you do is make sure your armor is up to the standards set forth in the CRL, post a thread with the required photos in the appropriate area (see below), and wait a bit for the D.O.s (Deployment Officers) to address it. (Hint: Studying other people's threads before you submit can be a GREAT help). These are also listed on the main page of the FISD site. While waiting for approval, you will get some comments from others who will offer suggestions and constructive advice to help you out. If you should need any changes, the DOs will let you know, so you can adjust accordingly. Don't be dismayed if you do need changes... it's all for your benefit! After you are approved for EIB, then you can submit for Centurion. Just remember that the FISD is here to help you every step of the way with whatever other questions you may have, but if you can't seem to find what you are looking for in your research, just ask away here on the forum. This area lists all those who have gone above and beyond basic approval toward screen accuracy. GREAT job on your approval, now on to Level 3! Outstanding job on reaching Centurion, Troopers! If you see any of these Troopers around your Garrison or Squad, be sure to congratulate them! As many of you are aware, the FISD is currently in our March to 1000 program. Our goal is to reach the one thousand mark of Troopers who have earned their Expert Infantry Badge, and although we are well on our way to this goal and have just reached the 900 mark! The amount of approved submissions is increasing (over 80 this year alone) thanks to the dedication of those willing to go the "extra mile" toward screen accuracy. "Expert Infantryman status is not required for members of this detachment. It should be viewed as an optional set of requirements for those who wish to take the accuracy of their costumes to the next level, and be recognized accordingly. We're a costuming club - think of it as an award for costuming excellence and you get the picture. The requirements will not replace or supersede 501st standards, but only serve as an inspiration for the level of accuracy that can be achieved. The standards are meant to be high but achievable..."
Besides the added pride you will have in your armor, those reaching this level can purchase exclusive EIB gear (patches, decals, coins etc.) and get a free certificate for your accomplishment. If you are interested or would like more information about the program head here that will help. You can also contact myself "Pretzel" or any Imperial Attaché, and we will be more than happy to assist you! Although I try to add any new merchandise to the monthly newsletter not all merchandise runs coincide with each issue, it is always best to keep a watchful eye on the forums and especially on the merchandise area for any new runs as I am not privy to when they may be posted, as such some runs may not be included.